Mobvoi, makers of some already very well priced Wear OS smartwatches, is running a promotion that may entice even more people to pick up the best of its wearable range. Visit Mobvoi’s website, and you can get 20-percent off the usual cost of certain watches, provided you check out using PayPal. Yes, that’s a caveat, but it’s not like Mobvoi’s asking you to pay in flesh, or with magic beans. There’s no indication how long the promotion will run, so if you’re keen we’d suggest not waiting around too long, just in case you miss out. The question then is, which Mobvoi Ticwatch model should you buy? The 20-percent discount only applies to the TicWatch C2 and the TicWatch Pro, and not the more recent TicWatch E2 and TicWatch S2 models. Our recommendation is the TicWatch C2, the company’s most stylish smartwatch, which costs $200. Buy one of these and use PayPal, and it’s yours for $160. Mobvoi even has some of its World Cup special edition watches left, which come with the flag-related NATO strap of your choice for free. The TicWatch C2 has all the features you want in a smartwatch, including GPS, a heart rate sensor, NFC for Google Pay, and all the usual Google Wear OS apps and services. The whole watch has IP68 water and dust resistance, and comes in a choice of rose gold, onyx, or our personal favorite, platinum color schemes. We recommend the C2 due to the minimalist style that will suit most wrists, rather than the more masculine TicWatch Pro. 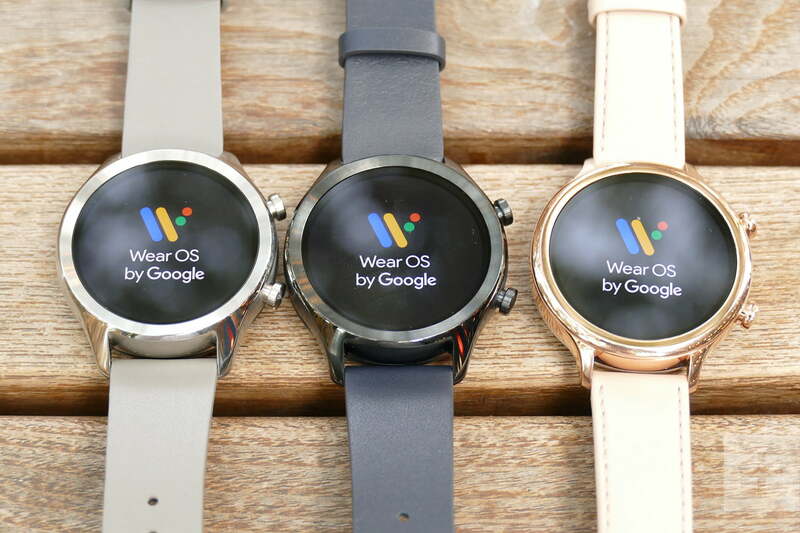 This doesn’t mean the TicWatch Pro should be disregarded. It’s the more technically impressive smartwatch, as it has two screens layered on top of each other. Activate the monochrome LCD rather than the AMOLED screen showing Wear OS, and the Pro’s battery life jumps to as much as 30 days. Way better than the one day we’re used to with Wear OS. The feature list continues with a heart rate sensor, IP68 water and dust resistance, GPS, and NFC. 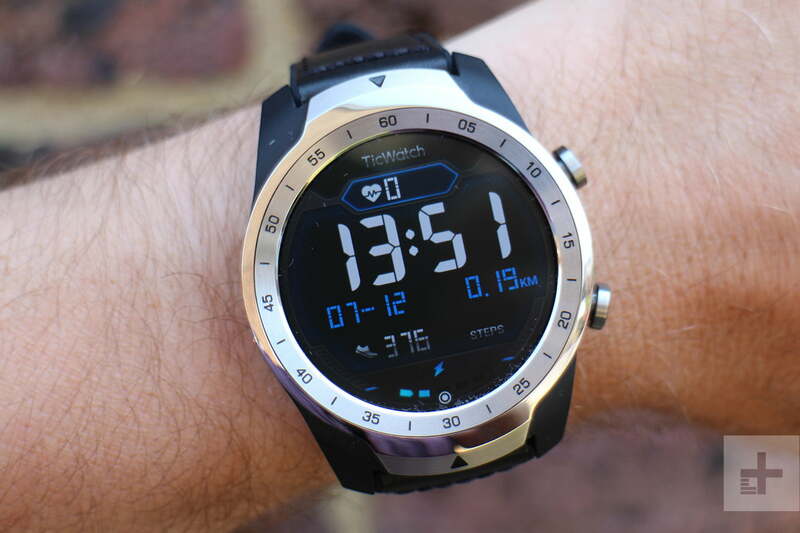 Normally, the TicWatch Pro is $250, but with the PayPal discount it’s yours for $200. This brings it far below the price of our current Wear OS favorite, the $255 Fossil Sport. 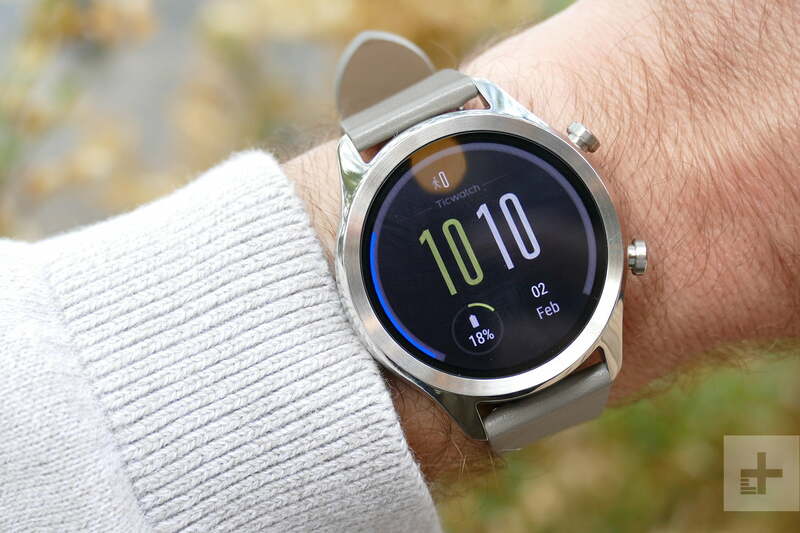 While the PayPal promotion is only running in the U.S. at the moment, the TicWatch Pro has been discounted in the U.K. too, where it’s priced at 195 British pounds, down from 215 pounds. This is a good opportunity to spend even less on a smartwatch that’s already considered a bargain.